ABC News reports: “A court in northern Israel today ruled that Israel and its military were not negligent in the 2003 death of a U.S. activist who was crushed by an army bulldozer. The judge called the death a ‘regrettable accident,’ and said Rachel Corrie ‘did not distance herself from the area, as any thinking person would have done.’ ‘She consciously put herself in harm’s way,’ Judge Oded Gershon said, adding that the driver of the bulldozer could not have seen Corrie, 23. 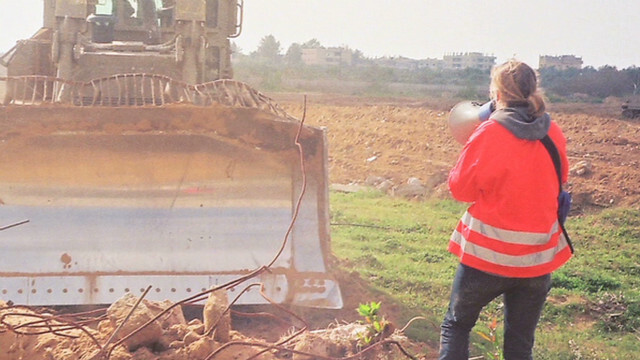 “She was wearing a bright-orange jacket and standing between the armored vehicle and a Palestinian home to prevent its being torn down in the Palestinian Gaza Strip. Fellow activists who were with Corrie have no doubt that the bulldozer driver saw her and went so far as to roll over her twice. Cindy and Craig, Rachel Corrie’s parents, were on Democracy Now this morning.